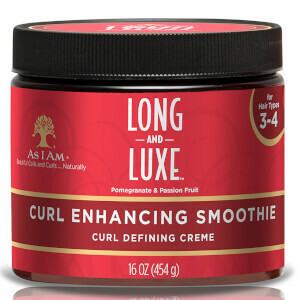 Specifically developed for coiled or extremely tight styles, the As I Am Twist Defining Cream is a unique styling cream that delivers luminous shine, superior frizz control and increased manageability, without sticky or greasy residue. 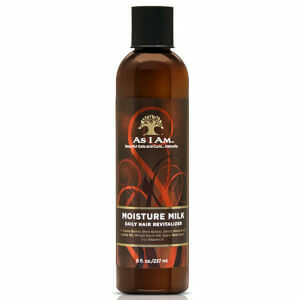 Nourishing Sunflower and Castor Oils are combined with Amla and Sugar Beet Root to replenish, hydrate and re-define curly hair, whilst penetrating into follicles to promote healthy hair growth. 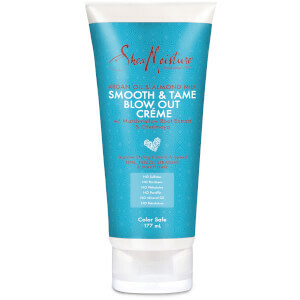 Helps prevent shedding and thinning so you can experience big, bouncy locks with strong, long-lasting definition. 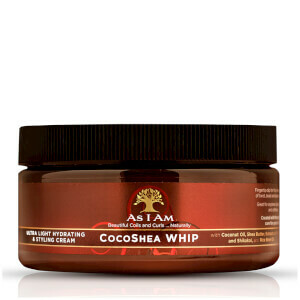 Use after cleansing and conditioning your hair. Do not towel-dry. Aqueous (Water, Aqua Purificada, Purified) Extracts: Cocos Nucifera (Coconut)¹ and Phyllanthus Emblica (Amla)¹ and Citrus Reticulata (Tangerine)¹ and Beta Vulgaris (Beet) Root¹, Glycerin¹, Acetamide MEA, Helianthus Annuus (Sunflower) Seed Oil1, Ricinus Communis (Castor) Seed Oil¹, Triethanolamine, Cocos Nucifera (Coconut) Oil¹, Butyrospermum Parkii (Shea Butter)¹, Carbomer, Phytosterols², Disodium Ethylene Dicocamide PEG-15 Disulfate, Sodium Lauroyl Lactylate, Behenyl Alcohol¹, Glyceryl Stearate, Glyceryl Stearate Citrate, Trideceth-12, TBHQ, Diazolidinyl Urea, Iodopropynyl Butylcarbamate, Potassium Sorbate, Fragrance/Parfum, Limonene.